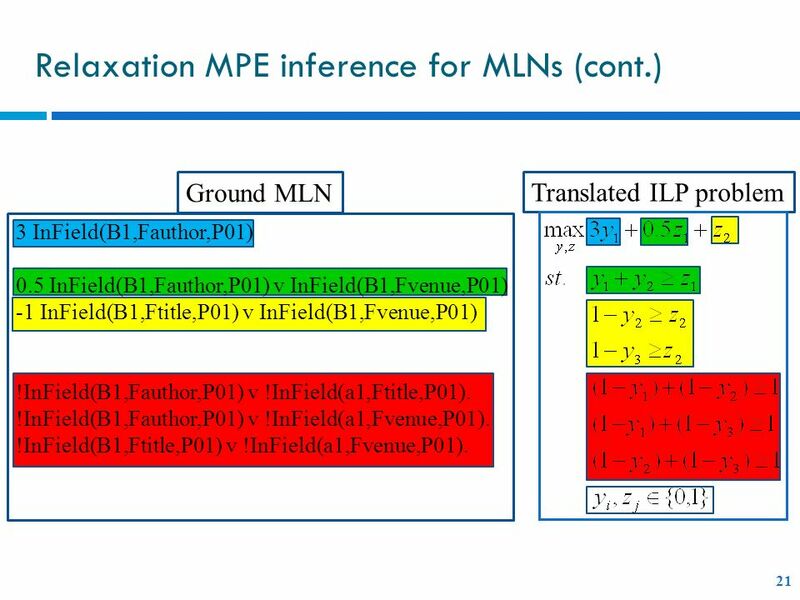 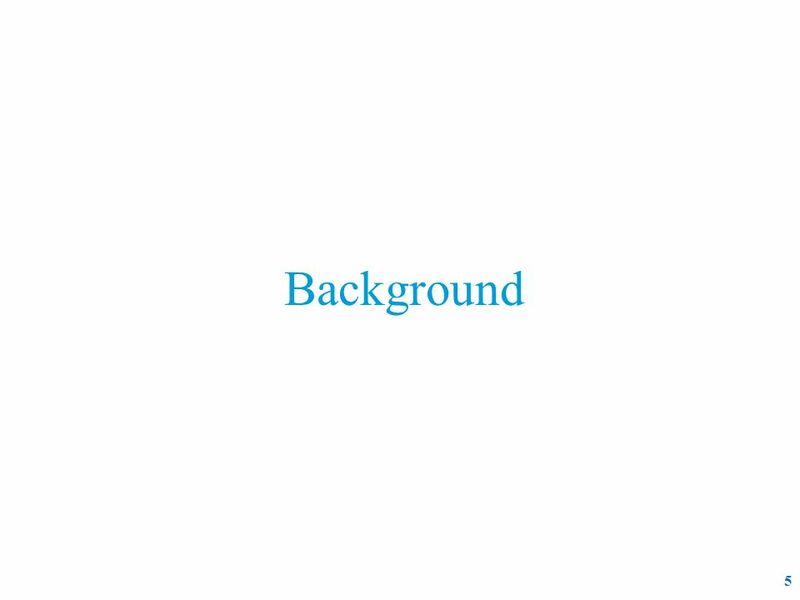 Ground MLN Translated ILP problem 3 InField(B1,Fauthor,P01) 0.5 InField(B1,Fauthor,P01) v InField(B1,Fvenue,P01) -1 InField(B1,Ftitle,P01) v InField(B1,Fvenue,P01) !InField(B1,Fauthor,P01) v !InField(a1,Ftitle,P01). 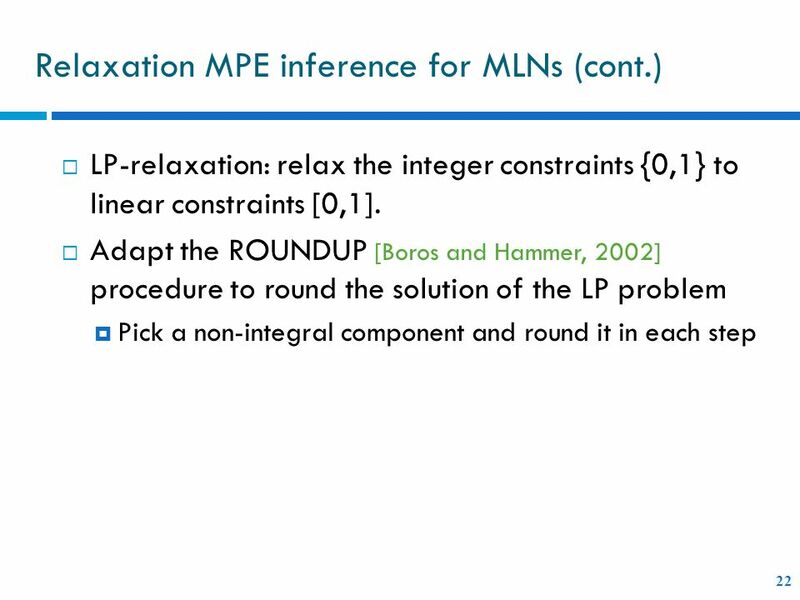 !InField(B1,Fauthor,P01) v !InField(a1,Fvenue,P01). 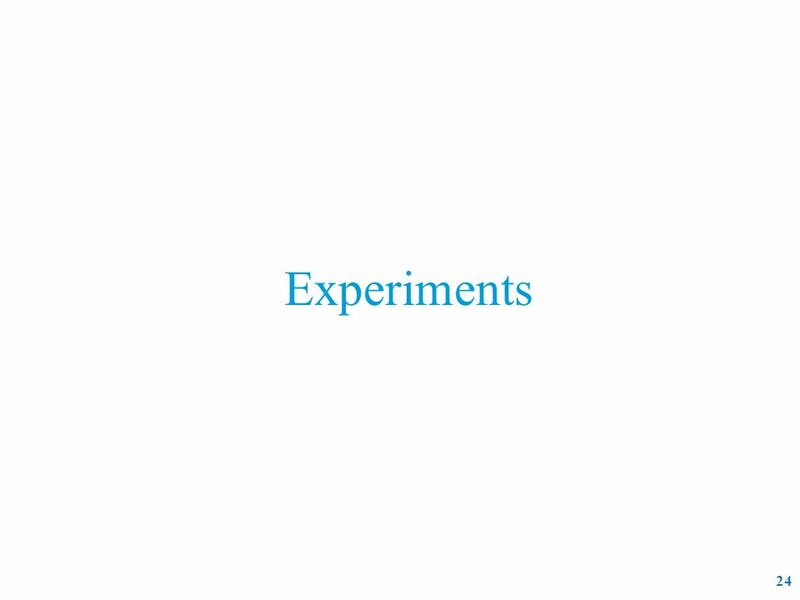 !InField(B1,Ftitle,P01) v !InField(a1,Fvenue,P01). 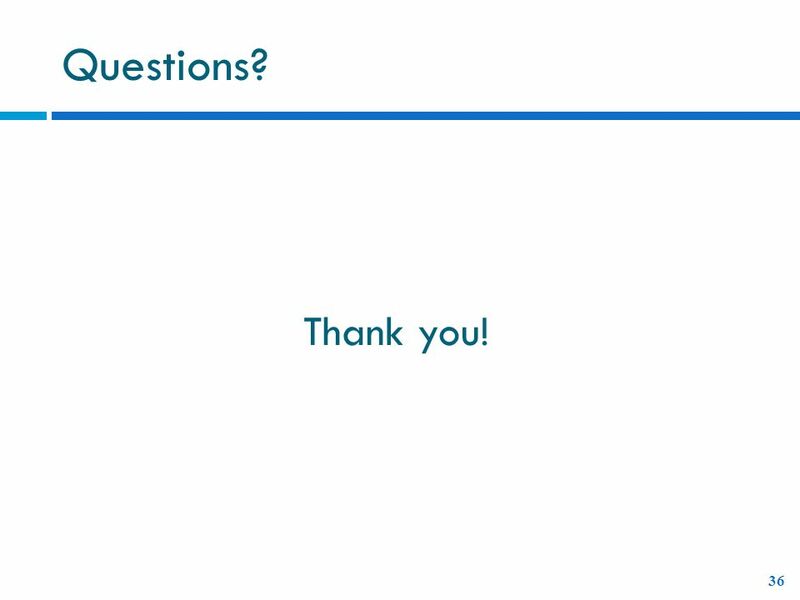 30 Where does the improvement come from? 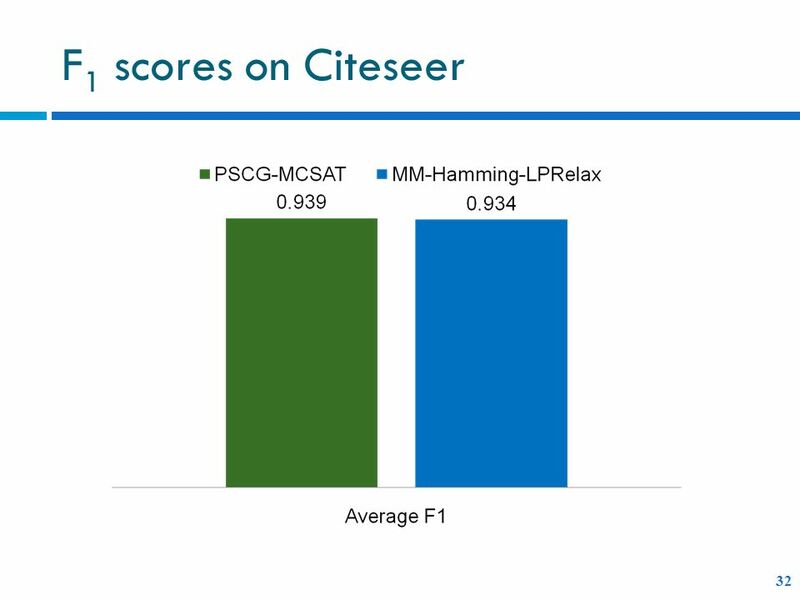 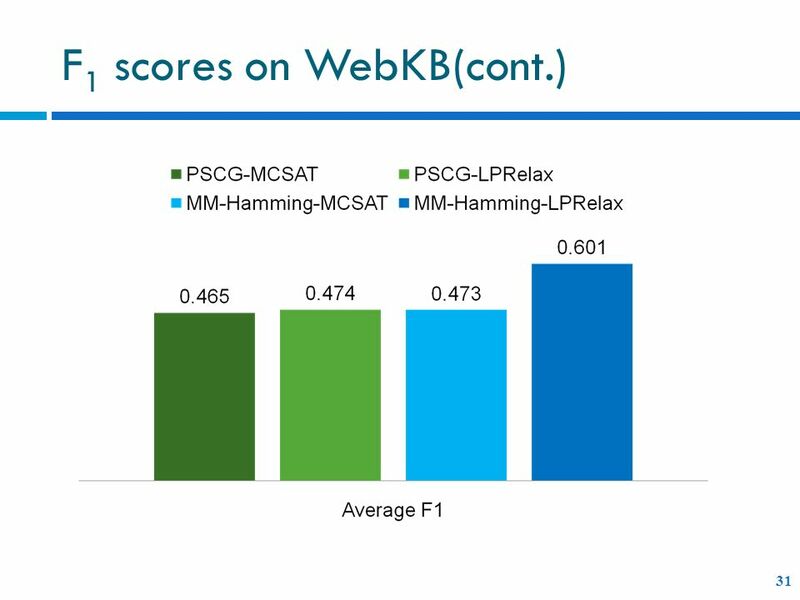 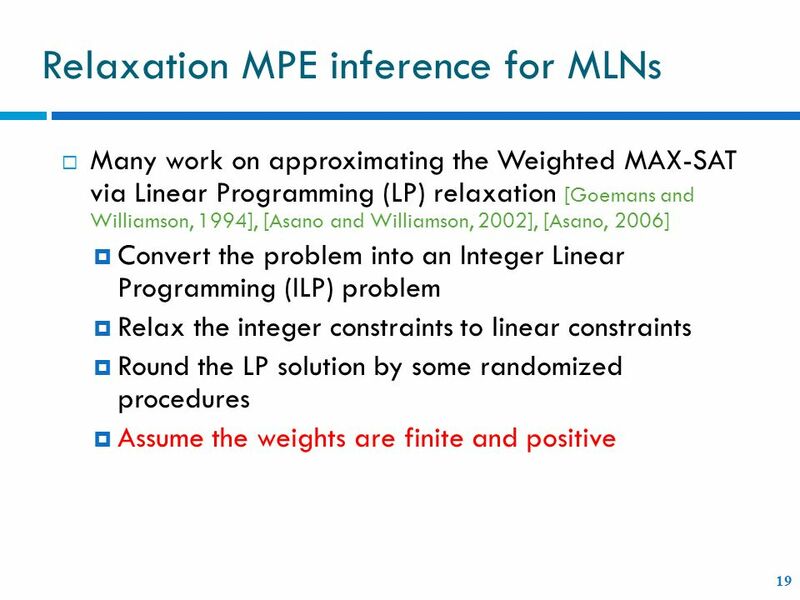 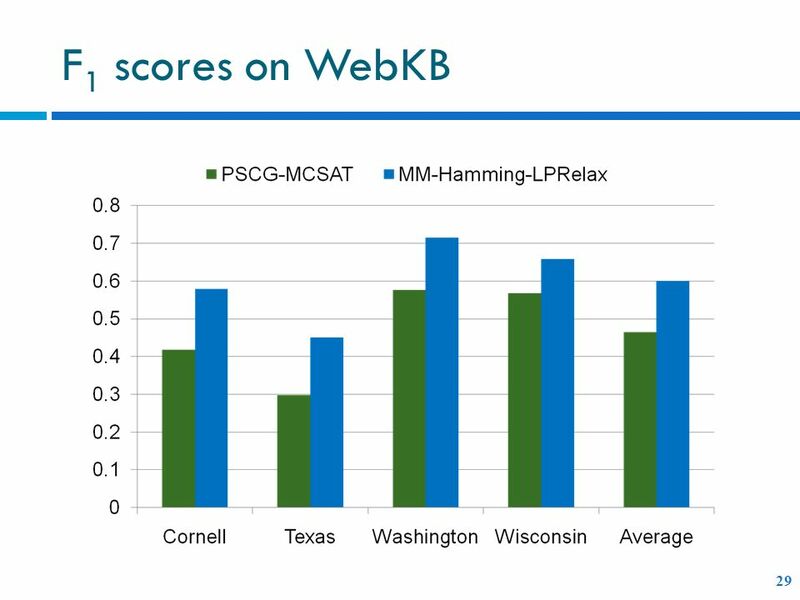 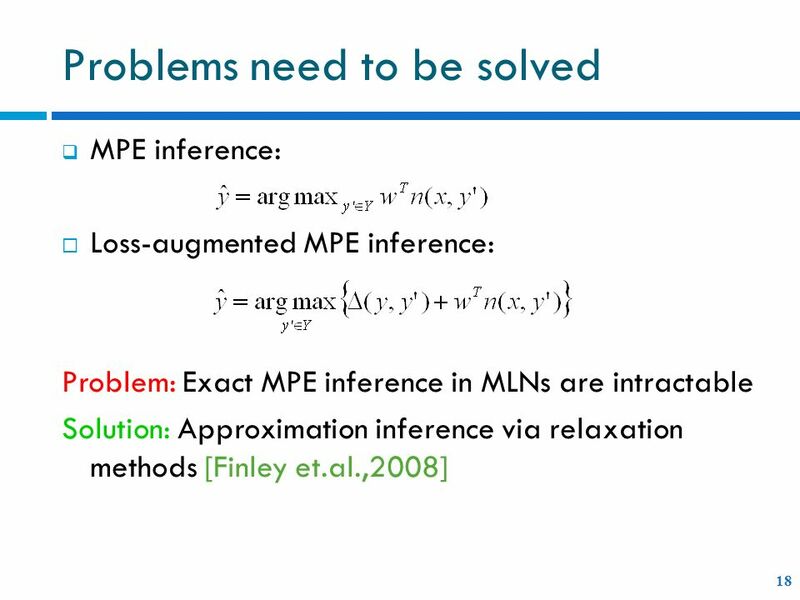 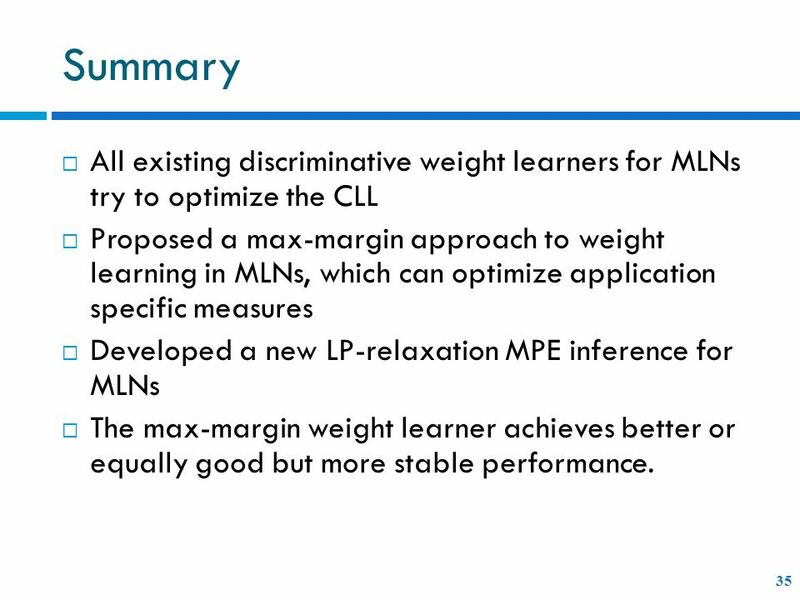 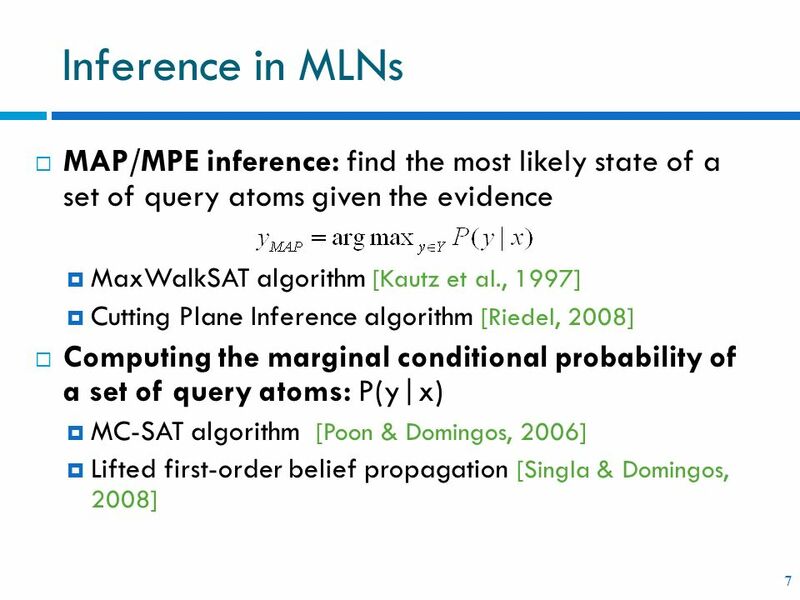 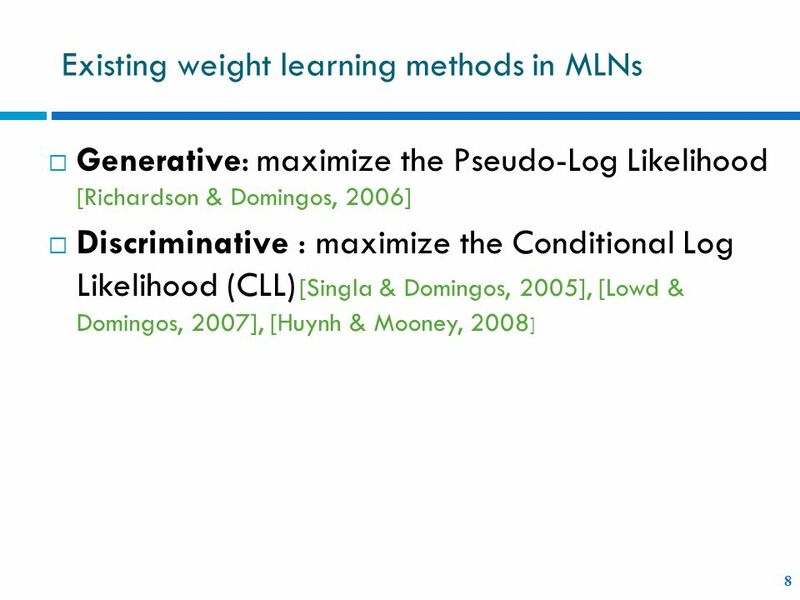 35 Summary All existing discriminative weight learners for MLNs try to optimize the CLL Proposed a max-margin approach to weight learning in MLNs, which can optimize application specific measures Developed a new LP-relaxation MPE inference for MLNs The max-margin weight learner achieves better or equally good but more stable performance. 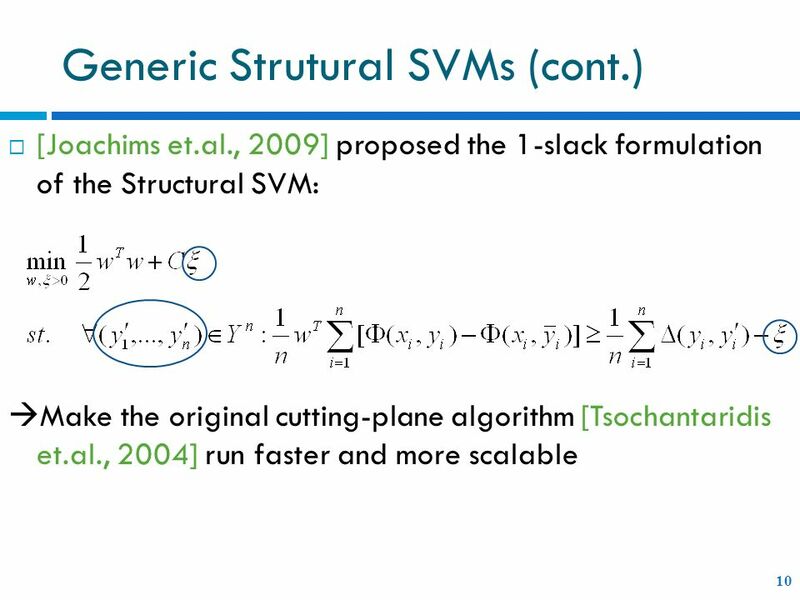 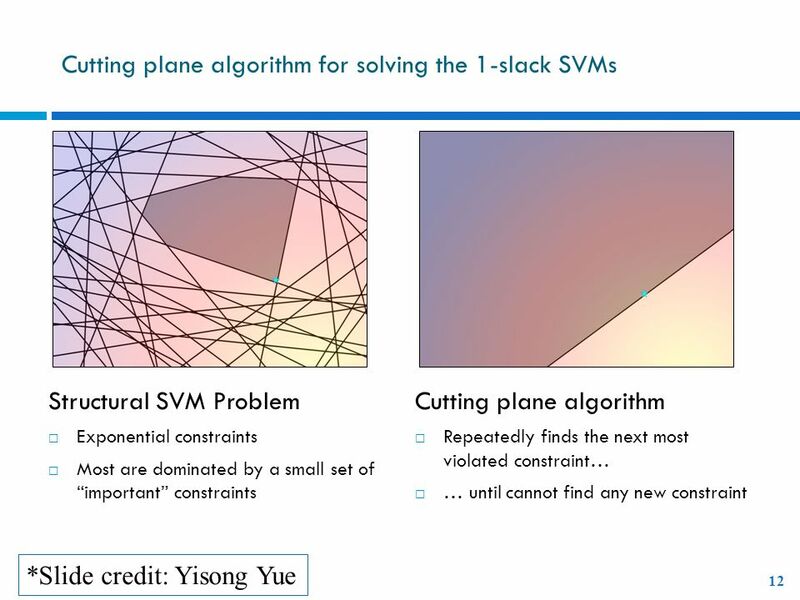 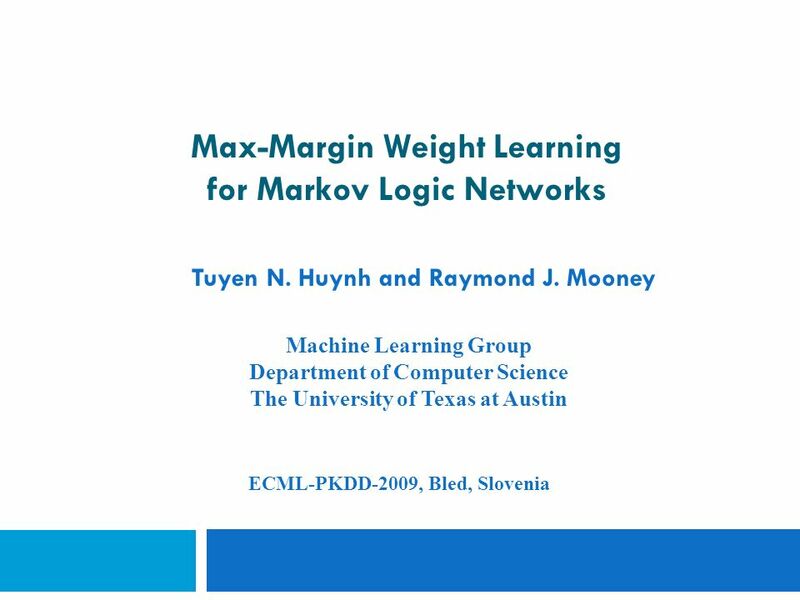 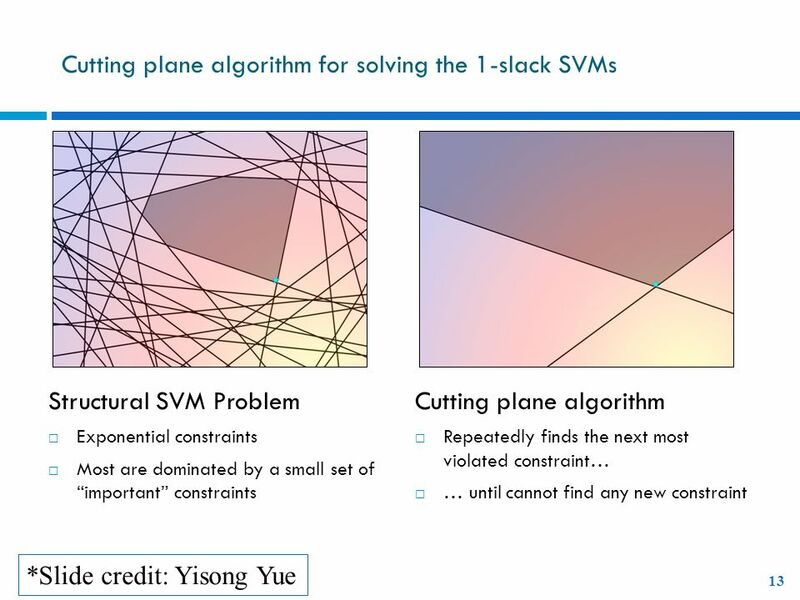 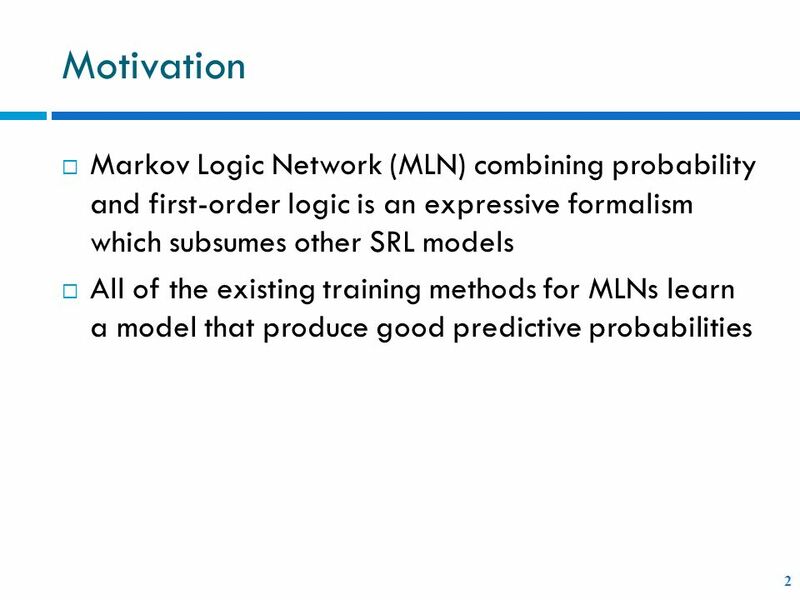 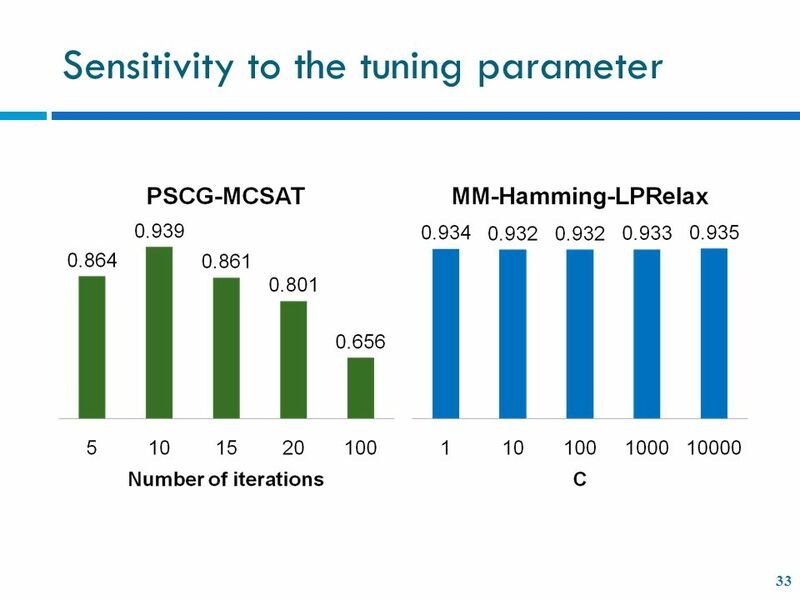 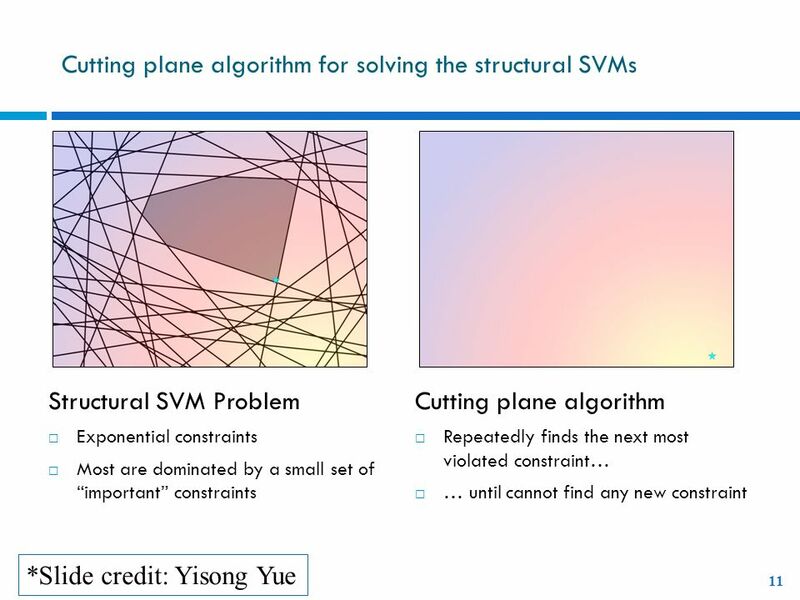 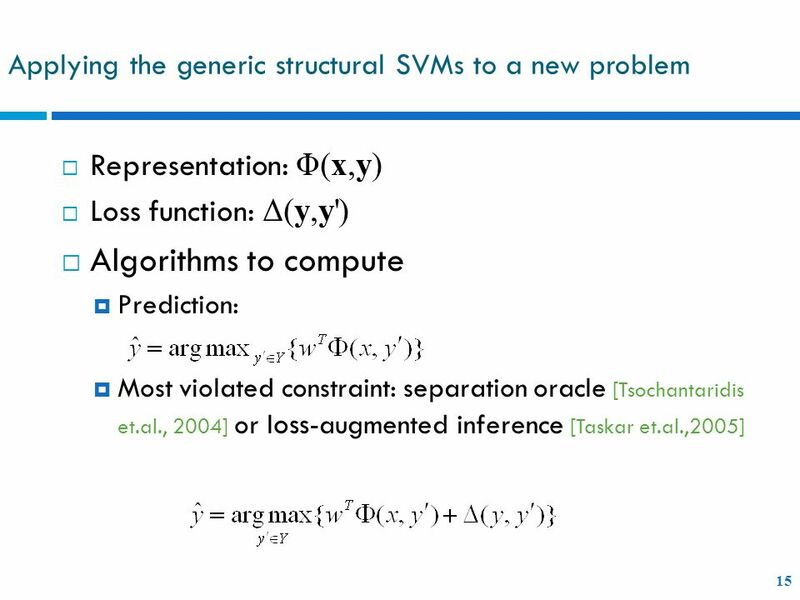 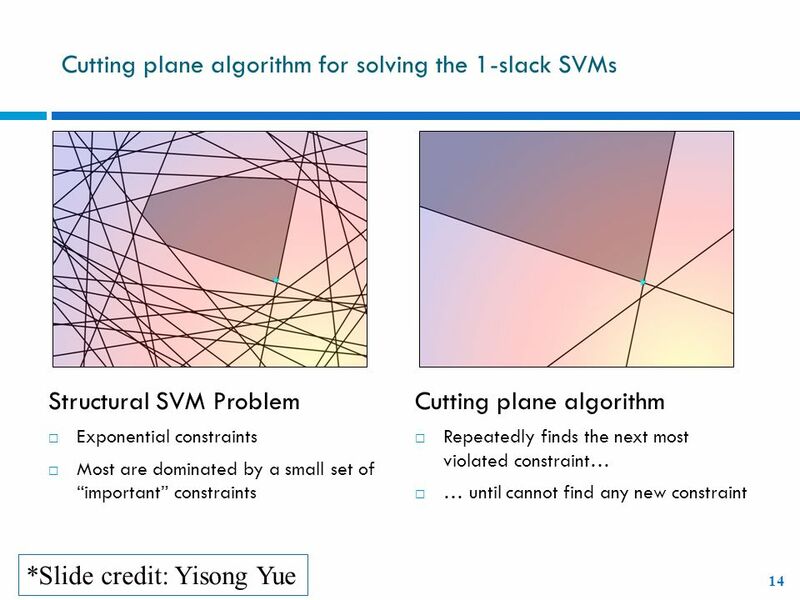 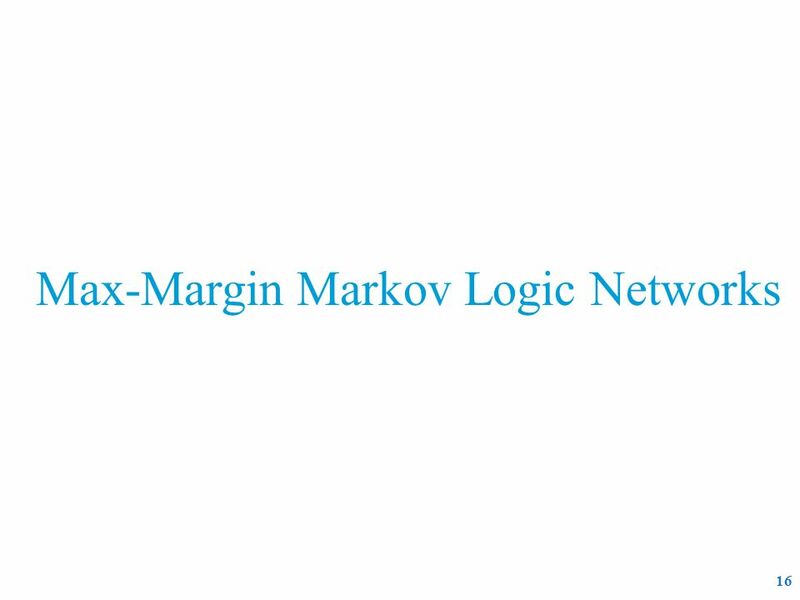 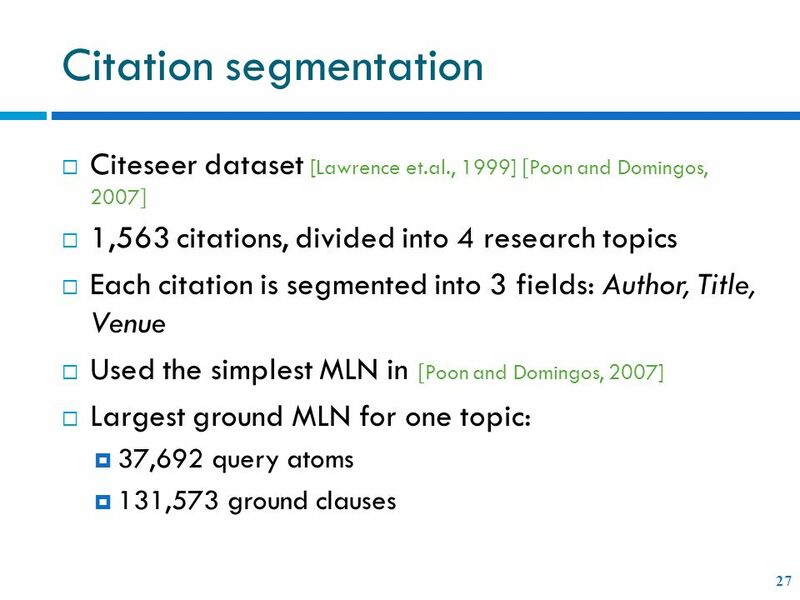 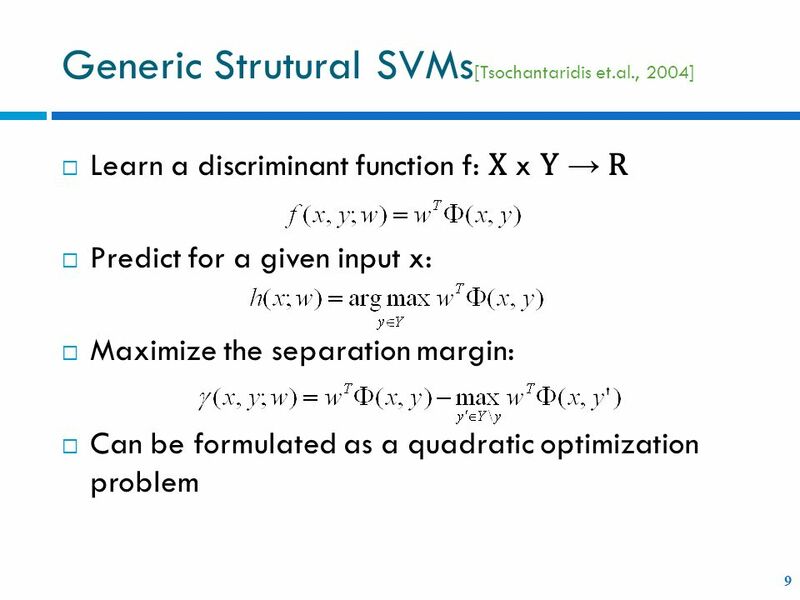 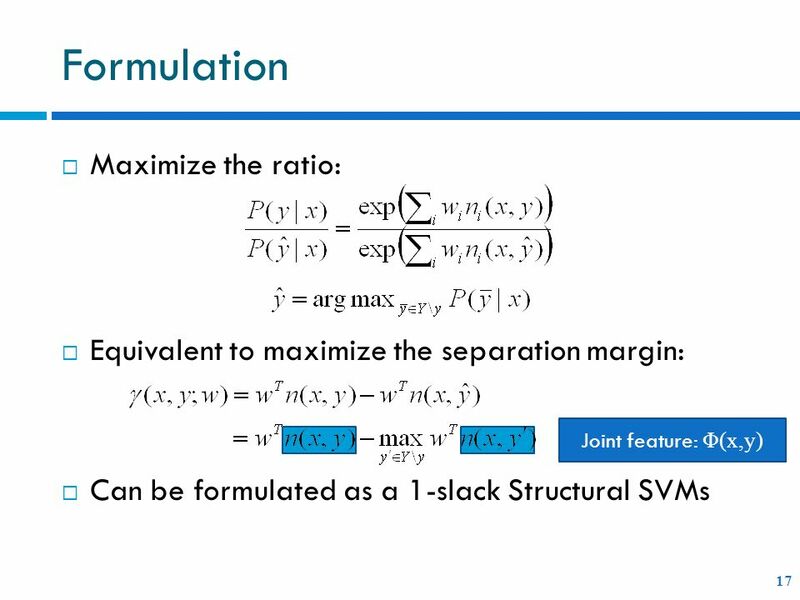 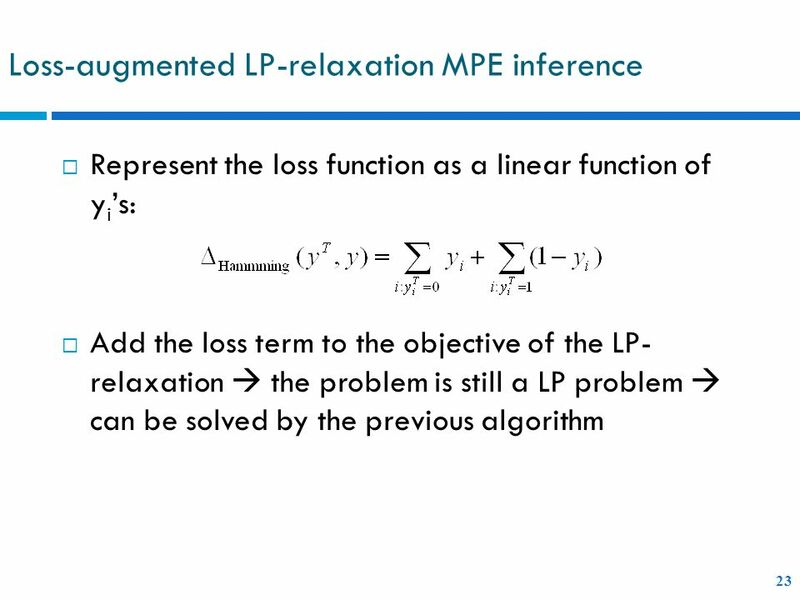 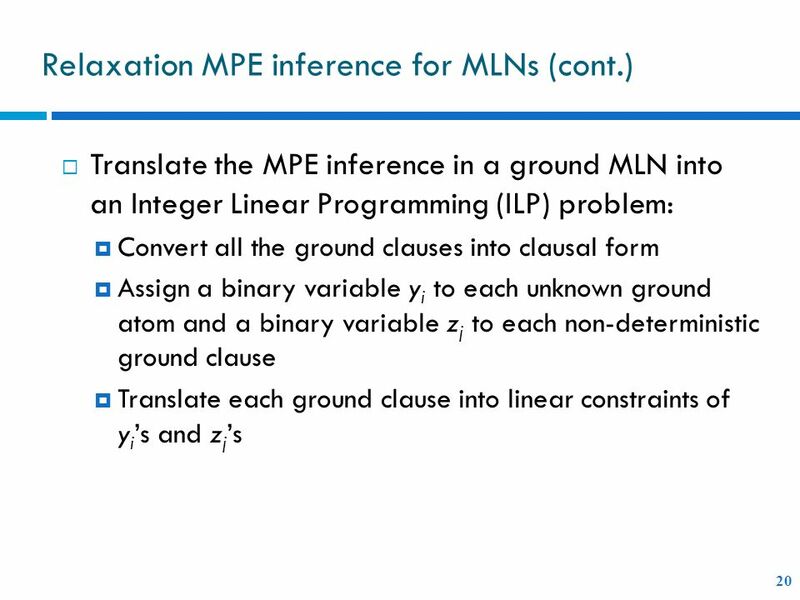 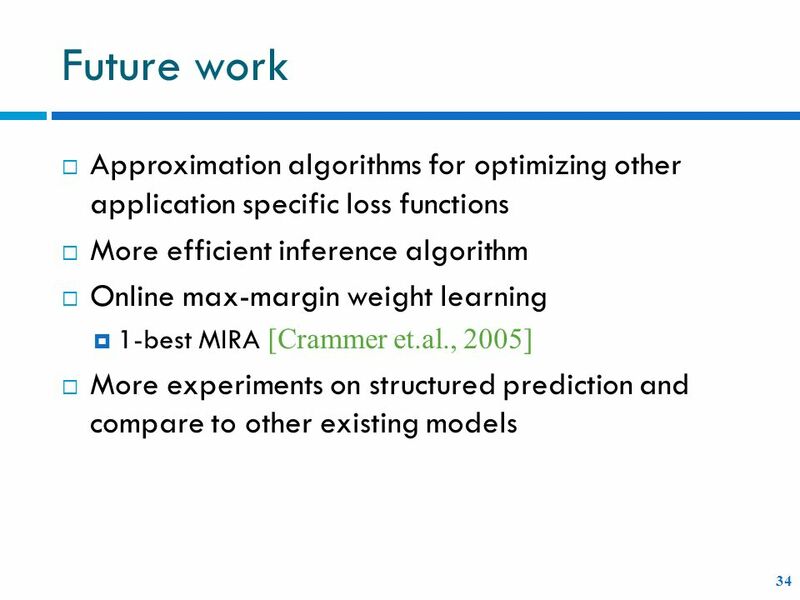 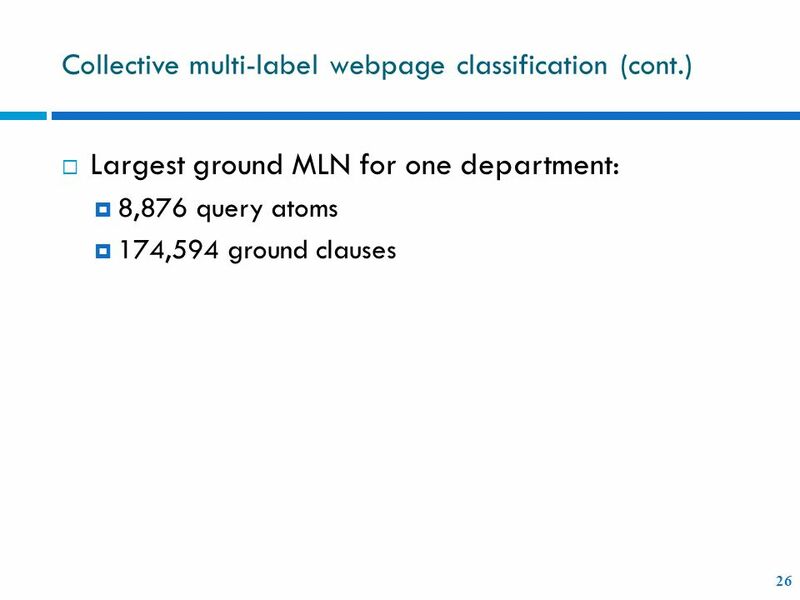 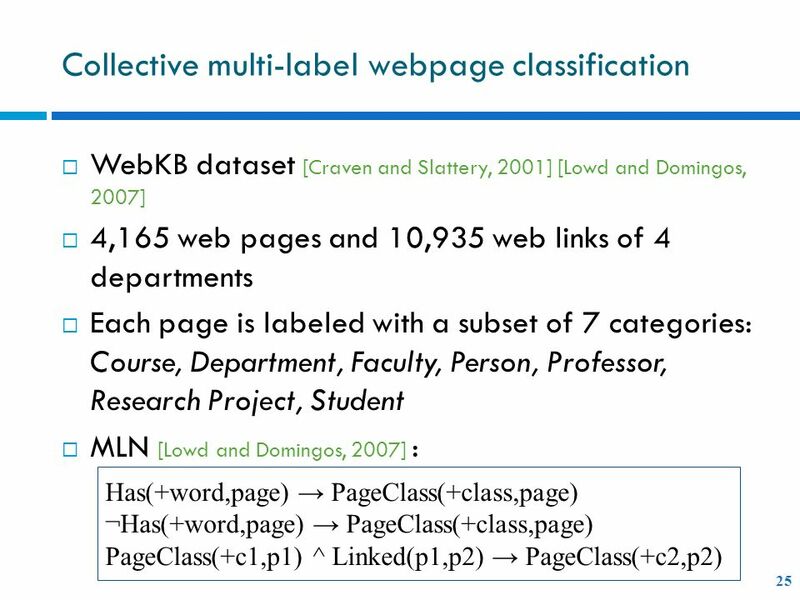 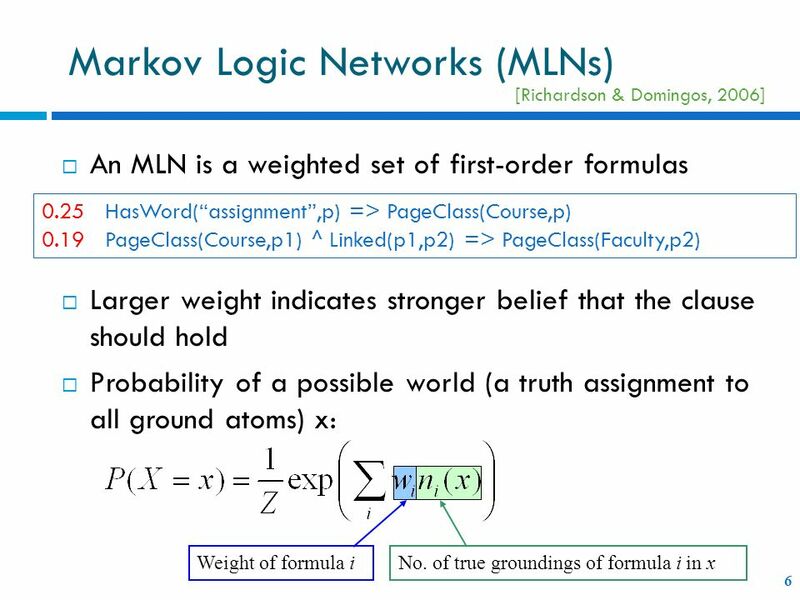 Download ppt "Max-Margin Weight Learning for Markov Logic Networks"
Online Max-Margin Weight Learning with Markov Logic Networks Tuyen N. Huynh and Raymond J. Mooney Machine Learning Group Department of Computer Science. 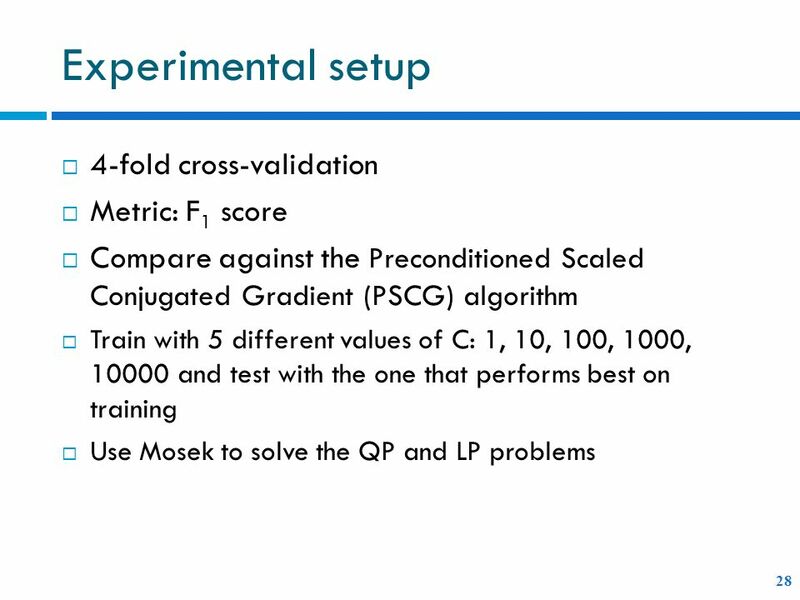 Mean-Field Theory and Its Applications In Computer Vision1 1. 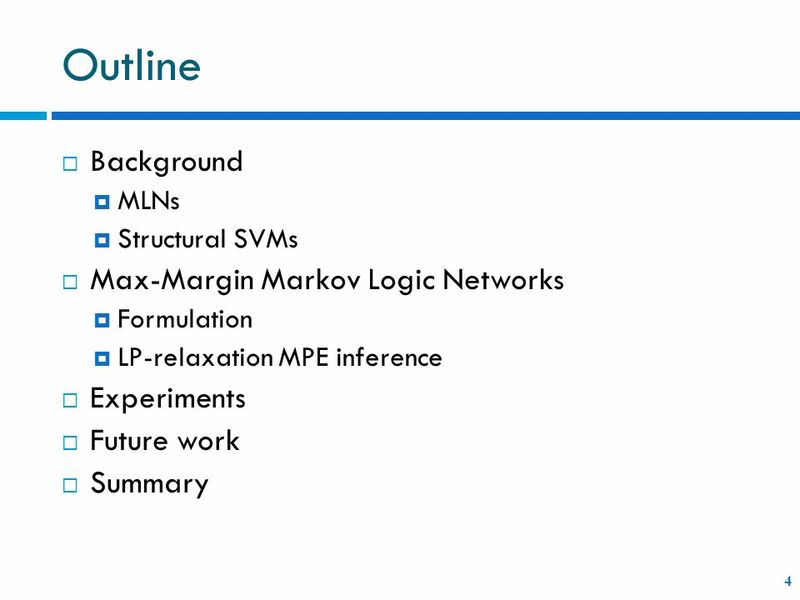 1 Outline relationship among topics secrets LP with upper bounds by Simplex method basic feasible solution (BFS) by Simplex method for bounded variables.